There were many great things about TSS Rovers joining the PDL last season. One of them was the return of the Juan De Fuca Plate. 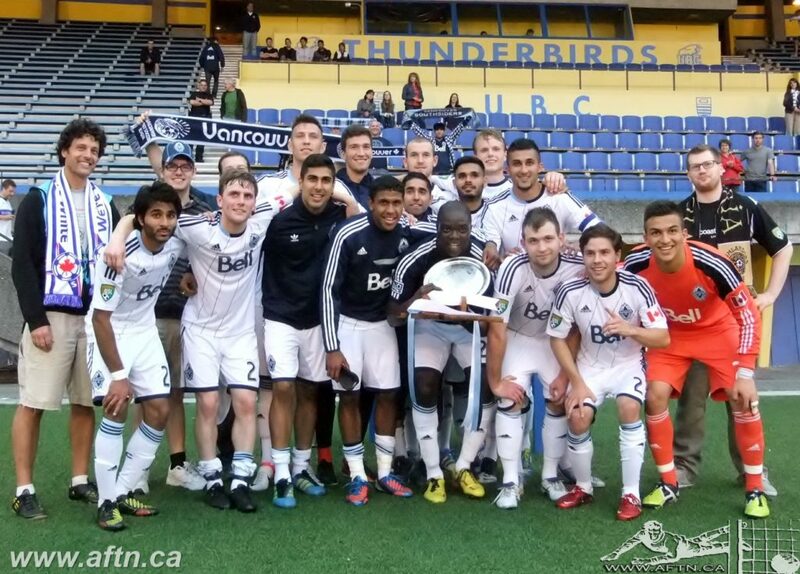 Established in 2012 to honour and reward the best PDL team in British Columbia each season, based on head to head matches between the sides that year, the supporters initiated trophy saw 24 fans of Vancouver Whitecaps and Victoria Highlanders donate funds to purchase the plate, a base made of BC maple in the shape of the province, and a banner to be displayed at matches. 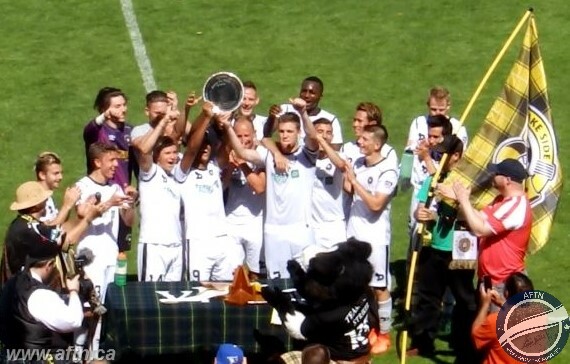 The Whitecaps won the Plate on the first two occasions, before the Highlanders finally got their hands on the silverware in 2014. 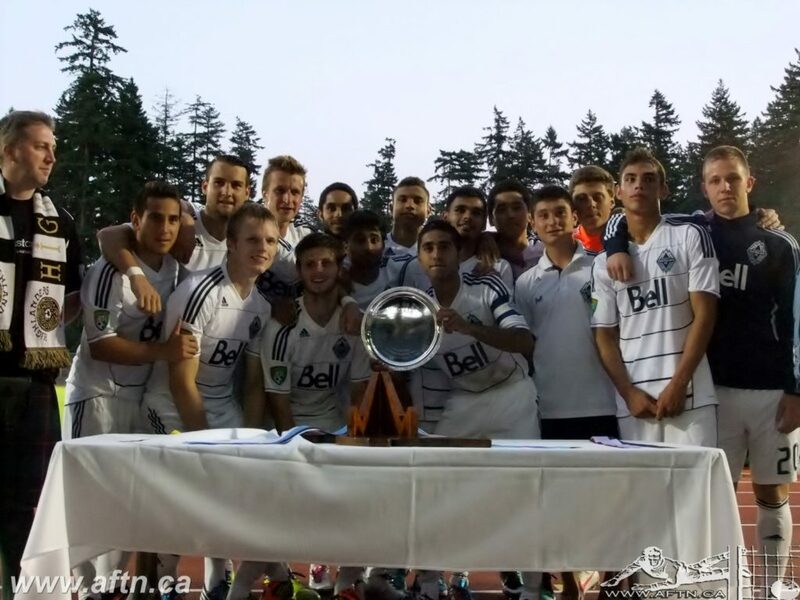 There were some fun and highly competitive matches, and some wild scorelines between the two teams, but when the ‘Caps wound up their PDL team in favour of WFC2 and the USL in 2015, that was the end of the Plate, well for a few years at least. The Plate returned last season and was finally played for again after a three year absence, only this time there was a new team in town – TSS Rovers. The Rovers and the Highlanders battled it out over three tough matches to decide who would lift the Juan De Fuca Plate in 2017. 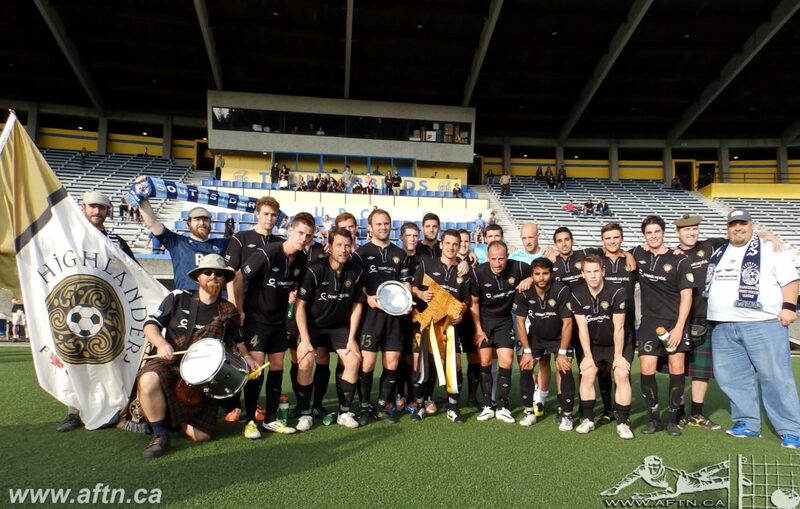 The first two matches were at Swangard Stadium in Burnaby, home of the Rovers, and results were split. Victoria won the first meeting on June 23rd 1-0 thanks to a late Sho Goto goal, but TSS got their revenge two days later thanks to a Daniel Davidson goal and brace from Matteo Polisi giving them a 3-1 victory. Goto grabbed Victoria’s lone strike. That set up a winner takes all clash at Victoria’s Centennial Stadium on July 9th. A draw would also have given TSS their first Juan De Fuca Plate on goal difference, but Victoria put in an assured performance and goals from Patrick Nelson and Stuart Heath saw them retain the Plate with a 2-0 victory. So that brings us up to date. Now it’s time for this year’s Plate and TSS Rovers are not only out for revenge, but they’re looking for their first ever PDL away win to get them off and running. The first match of this year’s Plate takes place today at Centennial Stadium (kick off 2pm). The Rovers are heading to the island full of confidence thanks to a stunning comeback on Friday night down at Starfire Stadium in Tukwila. TSS looked down and out before goals in the 89th and 94th minute from Matteo Polisi gave the Rovers the unlikeliest of 2-2 draws and their first ever road point. They’ll now be looking to take that form and momentum to Victoria on Sunday against a Highlanders team that have struggled this season, kicking off with three straight defeats before finally getting their first win on Friday night with a 1-0 victory over Lane United. The teams will meet again next Sunday at Swangard Stadium, in what is sure to be a cracker, and could be the Plate decider depending on how today’s match goes. If things are still up for grabs, the deciding match between the pair takes place in Victoria on Friday June 29th. If you can’t make it along to the match today, you can watch the stream of the match HERE. 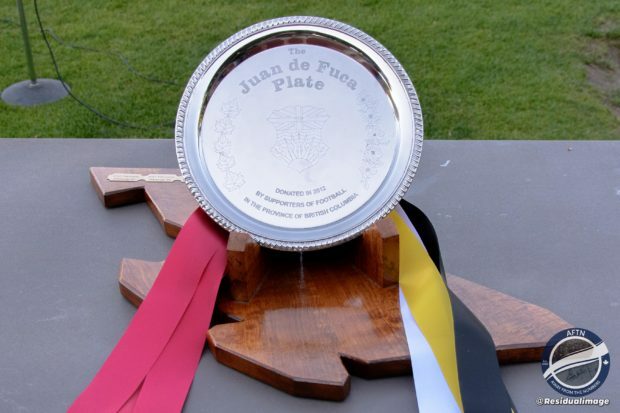 And check out all the history of the Juan De Fuca plate on the official website HERE. Who will be triumphant in 2018?